Money Clip with Multi-Stone Inlay! 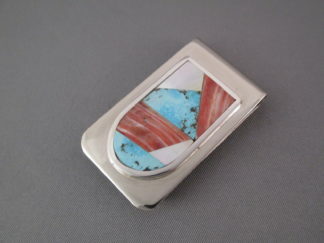 VERY attractive inlay money clip with inlaid Turquoise, Lapis, and Onyx stones by Native American (Navajo) jewelry artist, Jimmy Poyer. 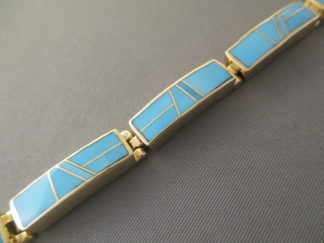 Attractive, masculine, and practical men’s jewelry.